If you are planning on driving during your trip to Greece, you should get an International Driver's License. Greek laws require a foreign driver to have an International Driving Permit (IDP) as well as a state-issued driver's license to operate a vehicle in the country. Although Greek car rental agencies routinely accept standard driver's licenses from applicants' home countries alone, you could be subject to a fine from local law enforcement if you don't have an IDP when you're driving in Greece. The International Driving Permit can only be issued up to six months before your trip, so it isn't something you can get that far ahead of your departure date. However, once you have the permit, it's good for one year as long as your regular license is still valid during that period. 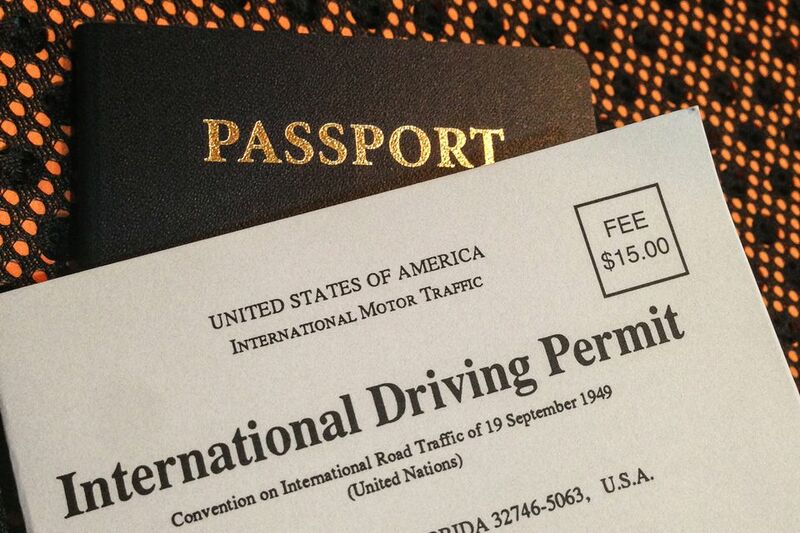 It's relatively easy to apply for an International Driving Permit as there are only two United States-based agencies officially sanctioned to issue IDPs—the American Automobile Association (AAA) and the National Automobile Club (NAC)—and any other agencies issuing permits are not providing the official document. To apply, you need to fill out the application, pay the current fee, and provide two passport-sized photographs and a copy of your state-issued driver's license. The photos do not need to be the same as your passport photograph, but if you are also applying for a passport, it's convenient to order extra copies to use for visas to other nations or for situations like this. If you go through a major AAA office, they can usually take the photo for you at the time you apply. United Kingdoms citizens must go through the AA for their license and Canadians have to go through the Canadian Automobile Association (CAA). While it may not be the first step in planning your trip to Greece, getting your International Driving Permit is an important one you must take if you plan to drive while you're visiting this European country. However, once you've got that sorted, there are a few other things you'll need to do in order to adequately prepare for your vacation. First, you should find and compare flights to and around Greece, including into and out of Athens International Airport and other Greek airports. If you're planning to travel during the busy tourist season of the summer, you should book your tickets well in advance to avoid last-minute price increases and overbooked flights. Although there are a number of car rental agencies near airports in Greece's major cities that permit on-site booking, you'll have a better selection of vehicles and deals if you reserve your vehicle online. You should plan at least a month in advance for the best deals, but make sure to compare prices at different agencies and check the fine print for hidden fees. It may also be beneficial to plan out your trip route before you take off for Greece, especially if you plan on taking a day trip around Athens or want to head out to the Greek Islands for a quick beach getaway. Many of the island tours require reservations in advance and spots are sure to fill up at island resorts during peak tourist season.